The dragonflies make me smile! and flipped it and decided it need dragonflies! I used the Serene Scenery DSP for my background. 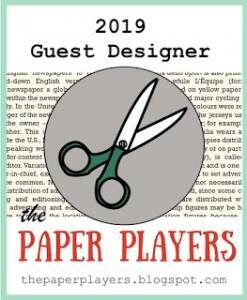 Why create a background when you have beautiful paper? 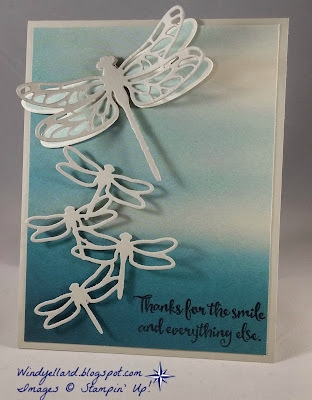 I cut the dragonflies out in Sahara Sand. Soft Sky ink. I cut them with the die and layered a detailed on top. all in just a few mins! 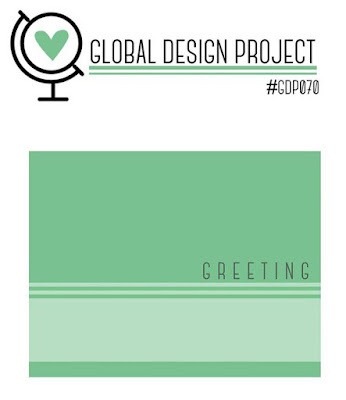 This is the last card for my classes this week! birthday, congrats, and several other occasions. 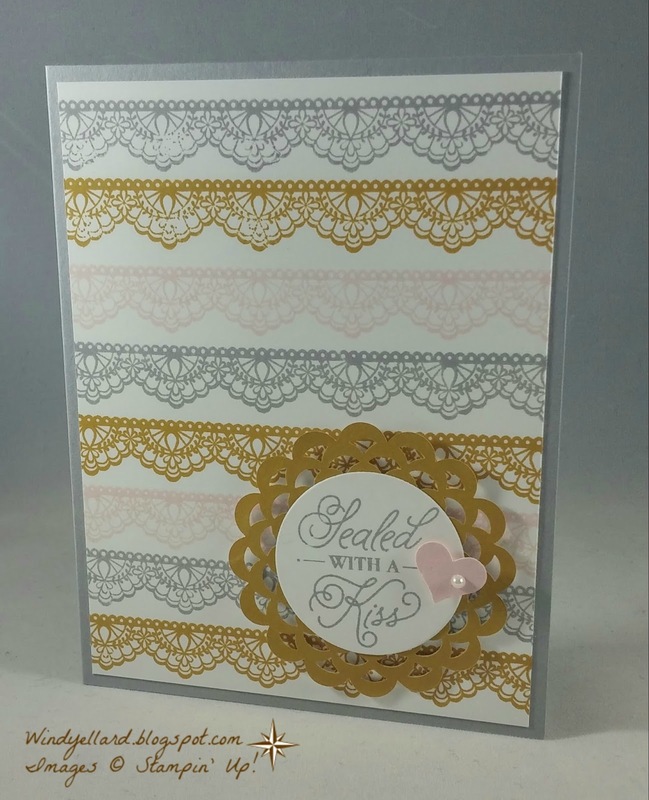 on Peekaboo Peach and cut out with the matching dies. 50.00 purchase from SU! from now til March 31st. in Crumb Cake and then stamped the second in Cherry Cobbler. 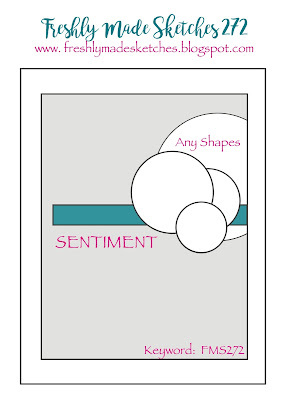 three other sentiments in the set which gives them more options. A little thick Very Vanilla Baker's twine finishes it off. 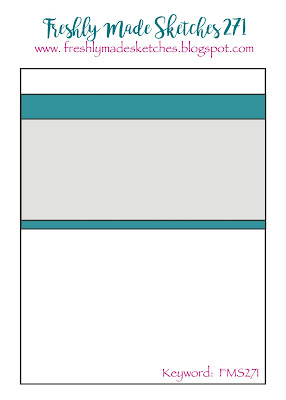 I struggled hard with this third card for my card class this week. so many elements in the new set and matching dies. But after a few tears, I did make it come together. 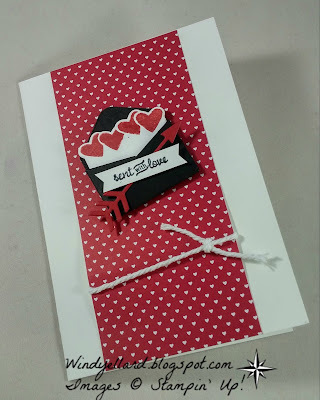 the slotted heart and arrow. The falling Petals emboss folder was calling to me, too. I also like the placement of the sentiment. both will fit there if the guest chooses. Real Red and Pool Party are one of my fav color combos. from the Best Birds set. but water colored it in Sahara Sand and Cucumber Crush. as the sentiment and the flowers. I also used it to do the water color on the bird along with So Saffron. 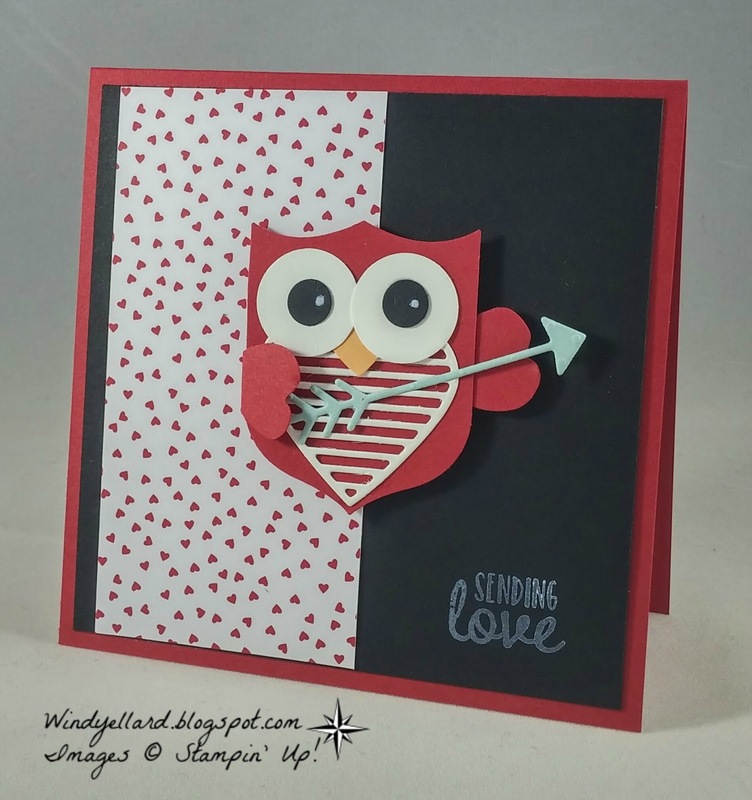 This is my second card for my upcoming card class. 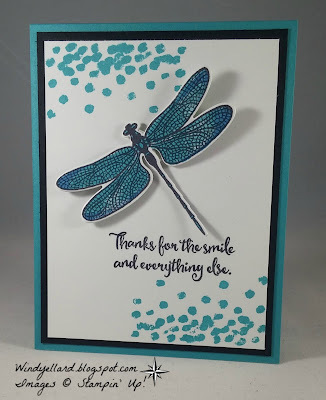 I did a little rock n roll with the dragonfly wings stamp. plus to color the body in, too. stamped right onto the black. where a Yankee Candle votive would fit! in Real Red and Whisper White. I did all the scoring with the Envelope Punch Board. After just a few cuts, I have a cute little box. Can hold candy and as I showed the a votive! leave the slots in for a textured look. I cut the two hearts with the Sweet & Sassy framelits dies. Closed, I added a bit of Whisper White thin ribbon. 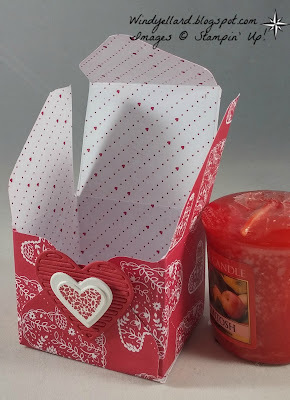 So fast and easy to make these sweet boxes! I designed this card for my card class coming up next week! I wanted my guest to play with the new SU! watercolor pencils. from the new SAB set called Avant Garden. I blended with the aqua painter. High Tide is an awesome set...but still playing with all the many details! 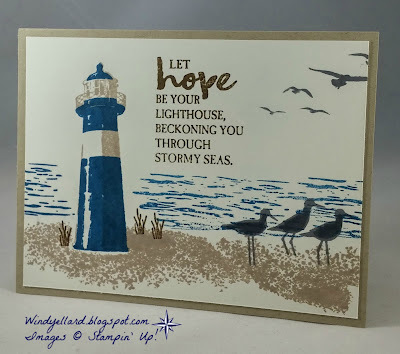 I stamped a few times the sand and then stamped the water with Island Indigo. I stamped all the birds in Basic Gray. 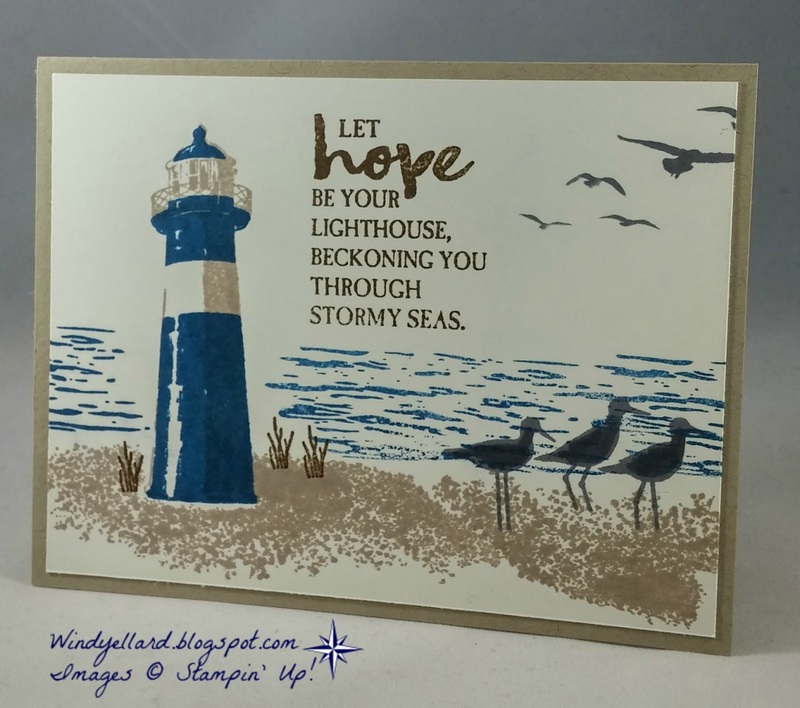 The lighthouse in Crumb Cake and then Island Indigo. The sentiment and grass is stamped in Soft Suede. It should be fun playing with this set more! A couple of Valentine cards for you today! 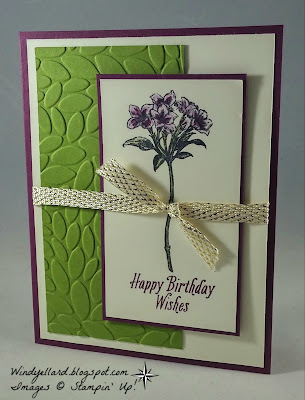 The top is a note card in Crumb Cake. white background in Blushing Bride. I then used the Sweet & Sassy framelits dies for a frame. The second card is also the same Sealed With Love set. 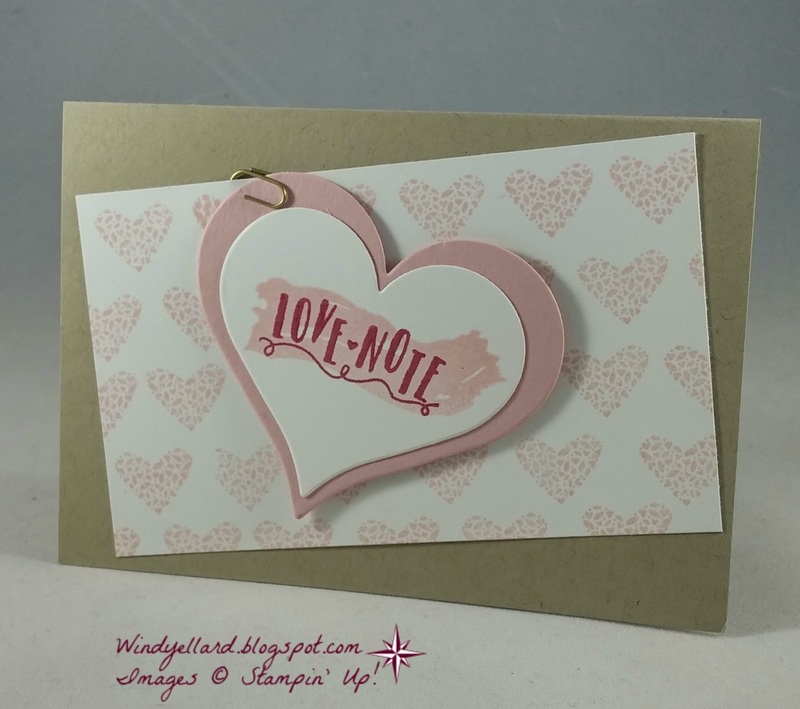 I used the Love Note die on the side...these hearts are truly cool! I added some Sending Love DSP on the inside to show though. 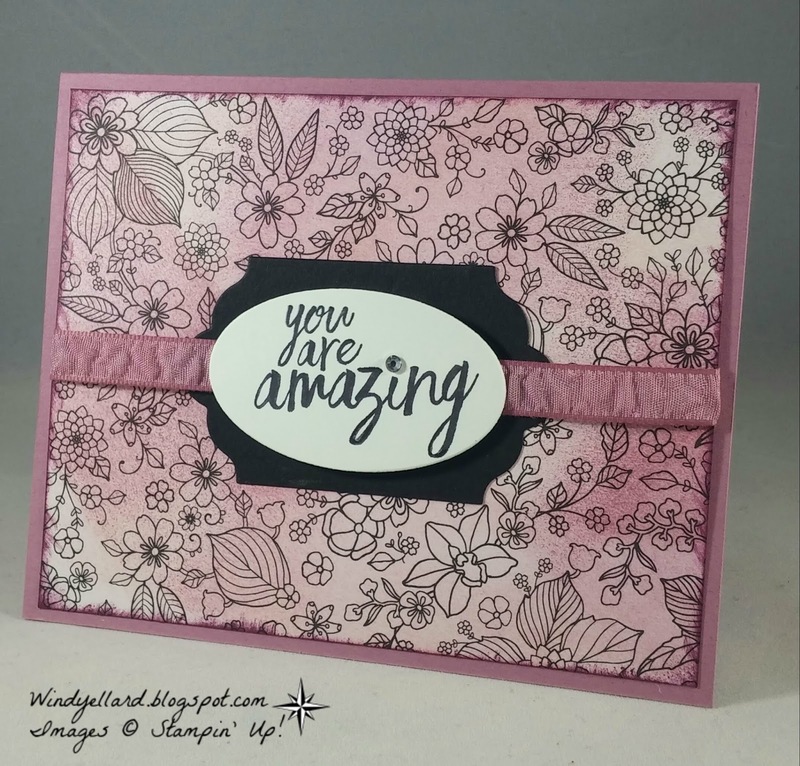 I then embossed the front with the Falling Petals emboss folder. 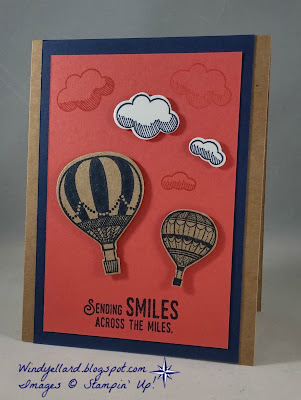 Some Stitched Shapes and Layering Circle framelits dies finish it off! I hope you have fun playing with your crafts supplies this week! So easy...the base is a Best Badge punch! The slotted heart and arrow is from Love Notes framelits dies. 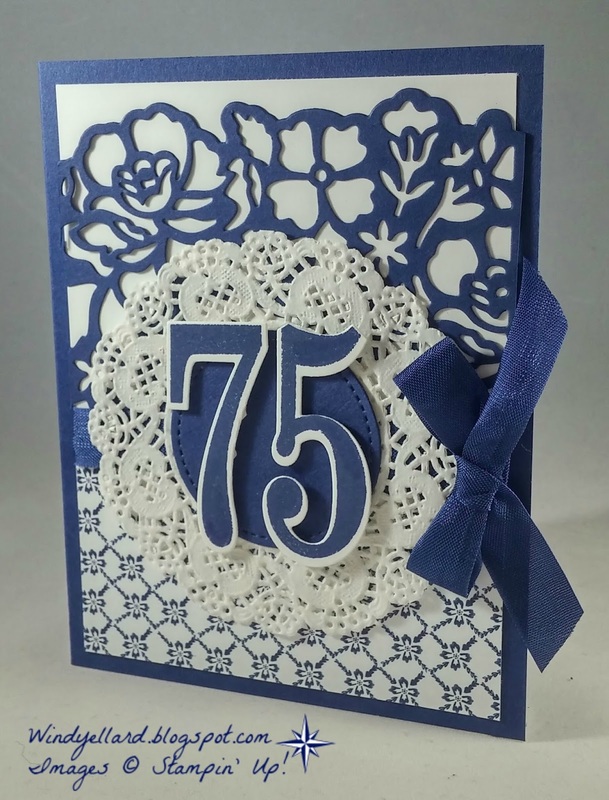 in White Craft ink. It did not come out as dark as I would like. But it does look "chalky"! 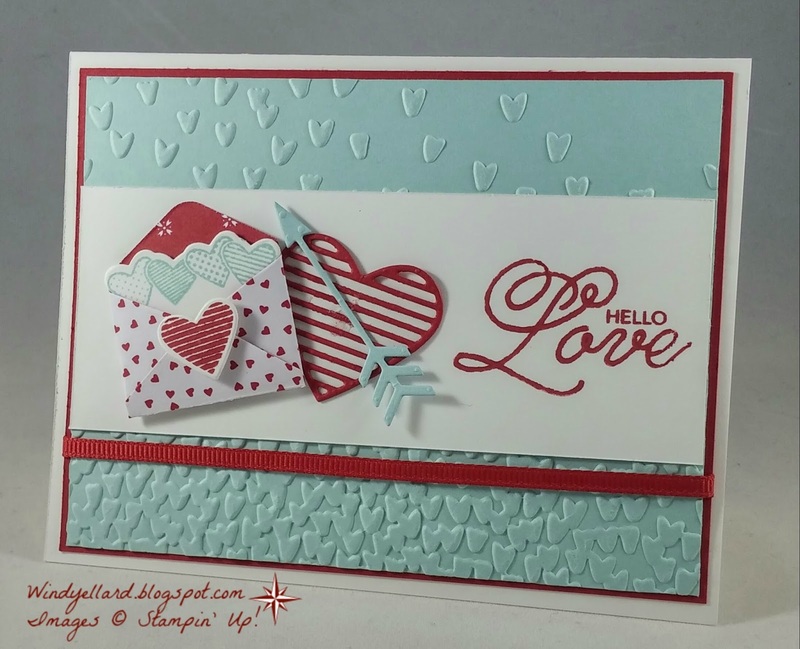 I hope you can play with some Valentine's sets/suites this weekend! I already had this fun DSP cut from another card this week. I also had the cone stamped and cut but did not use on the other card. Love this DSP and the font on the Happy Birthday! I hope you have a sweet weekend and thanks for stopping by! 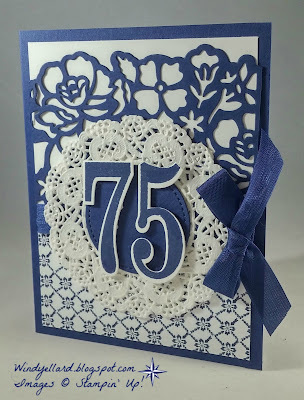 for her mother in law's 75th birthday. She wanted the numbers on the front. and my customer said white. I then said I needed another color. She said I know she likes blue, too. 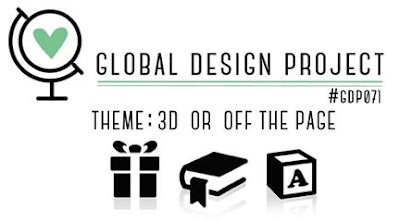 Well then I knew what designer paper to use. I love the Floral Boutique DSP but I tend to hoard it. Added a doily behind for more white! the Night of Navy seam binding ribbon. 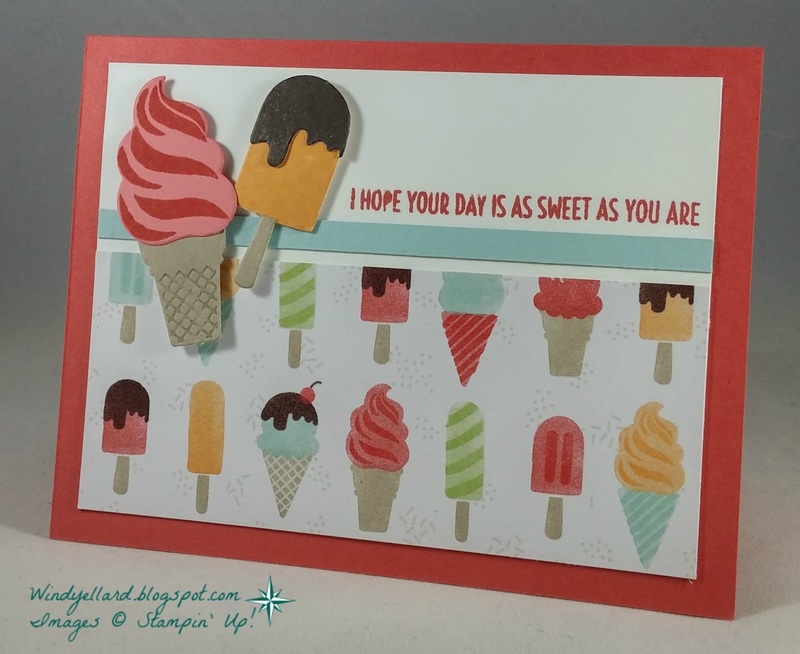 I started the card with this awesome DSP of treats! I then stamped some treats and die cit them to match. 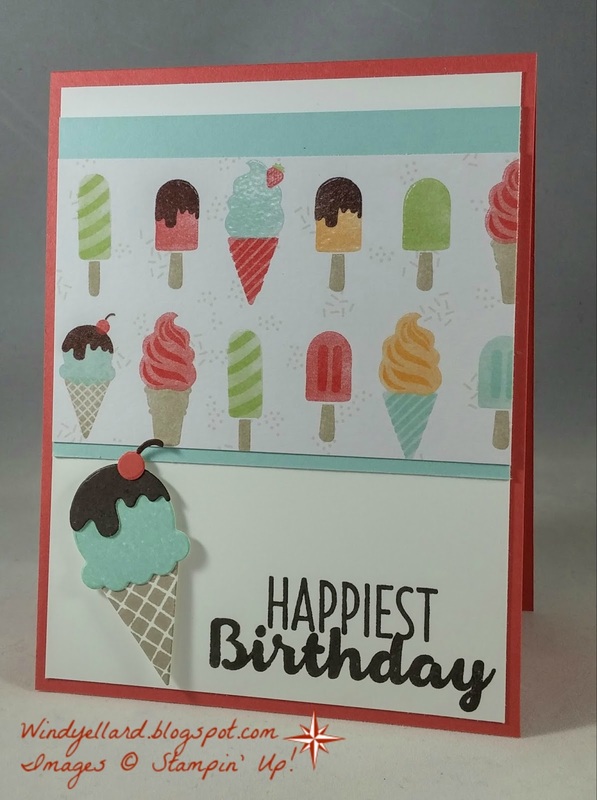 This Cool Treats suite is going to make some sweet cards! I teach in Sunday School. Thanks for stopping and have a sweet Wednesday! pair with white and black. She picked Peekaboo Peach. 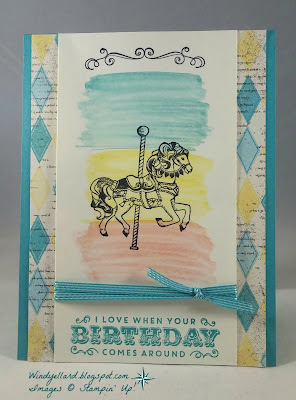 And then went on to pick the stamp set with sentiment, too. playing with the framelits and matching set. 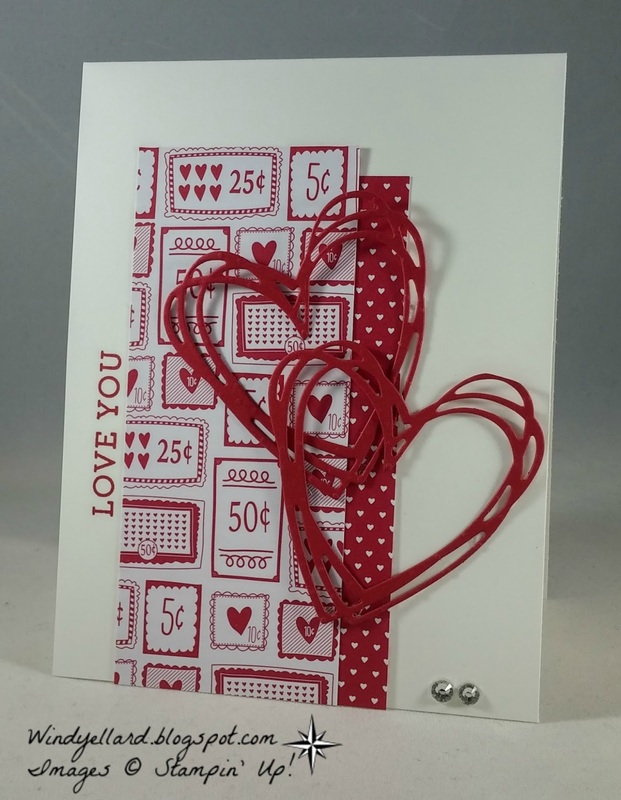 also cut along with the string of hearts with the Love Notes dies. I layered that on a scallop circle from my layering circles framdelits dies. A quick layer of Sending Love DSP and the sweet note card was done! Have a wonderful MLK day! 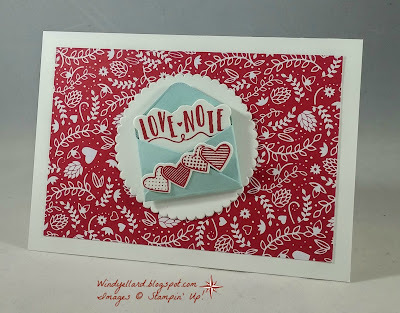 Playing with my note cards and Love Notes Framelits dies! before I use them for class. 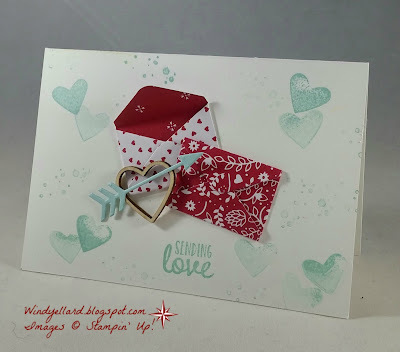 Like it is best to stamp the hearts and then use the die cut after. The stamps are from the matching set Sealed With Love. The dies have a cute mini envelope die and some arrows. 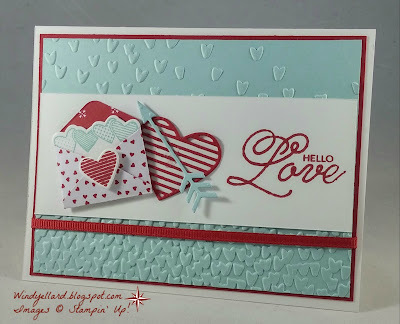 Helllllo, a little Valentine/Love theme today! 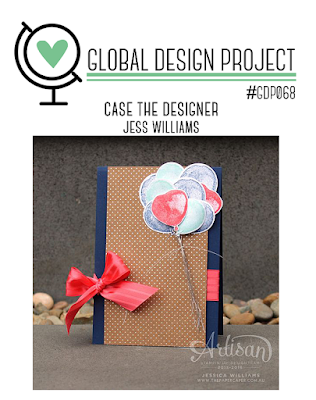 I started with the paper called Sending Love DSP. I chose a couple of prints and placed on the Whisper White base. 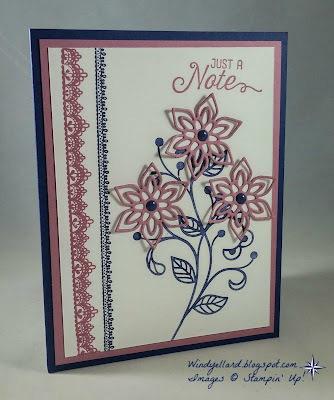 a sentiment from Bloomin' Love for the side! Needed a little bling so added a couple of rhinestones! 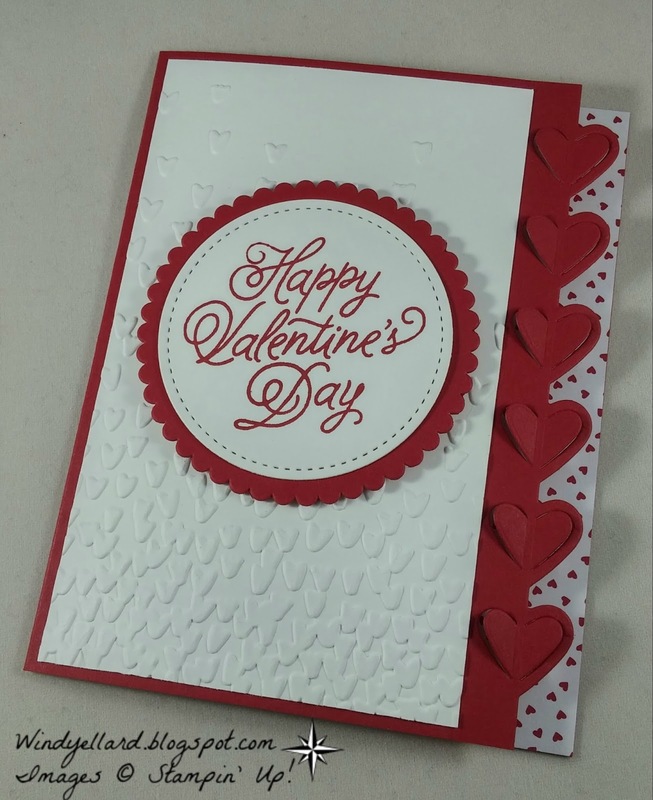 Card is headed already to my mom. but I made it too large for the card I was designing. of Night of Navy behind. 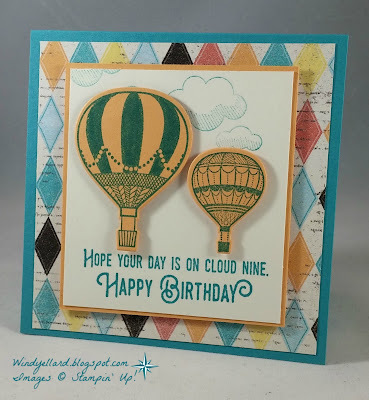 Love the sentiment from the same set-Lift Me Up! When Your Birthday Comes Around! I grabbed my aqua painter to wash over the colors. behind and the Bermuda Bay ribbon tied it all together. GDP069 Sealed With A Kiss! The free choice was fun! I liked seeing what others put with these colors! I showed the challenge to my daughter before I started. I thought they would work. 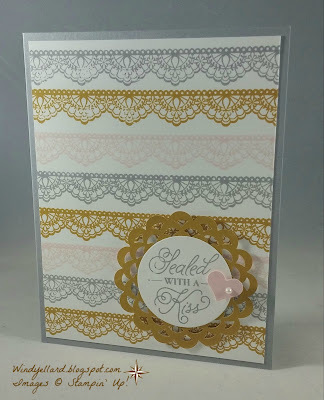 free SAB stamp set called Delicate Details. You can get it for free too with a $50.00 order now thru March 31st, 2017. I alternated the three colors and eyeballed the spacing. Not perfect but I was happy with it. 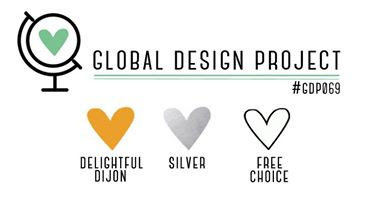 and I pulled out the Delightful Dijon. It was the right size, too! The heart is from a retired punch and a little off set pearl finished the job! 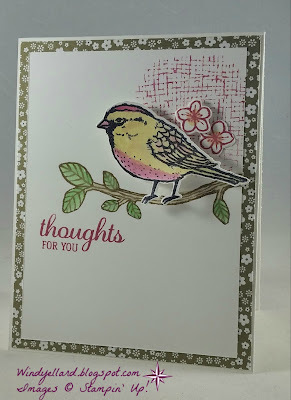 This is a real quick and simple card today! 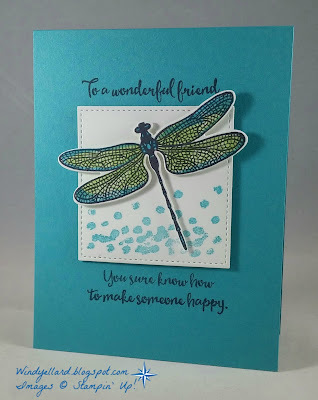 I stamped this dragonfly for another card which I then changed colors. 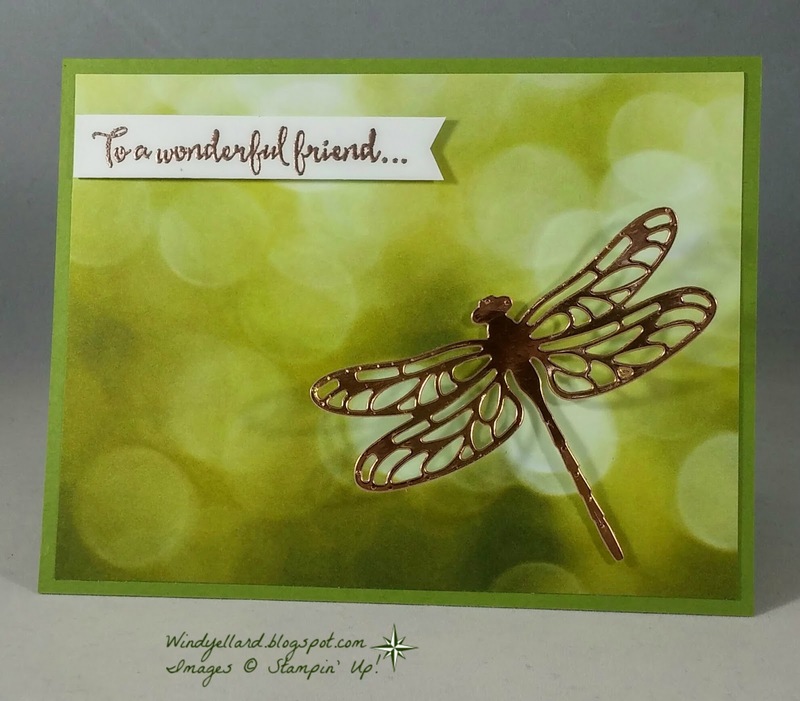 I stamped the dragonfly image in Memento Tuxedo Black. I then did the second step of the wings in two colors. I inked in Bermuda Bay and then "rocked" the sides in Pacific Point. I then colored the white spots on the body with a Bermuda Bay marker. I cut it with a matching die cut. Hope you have a fabulous Tuesday and thanks for stopping by! Inside The Lines Is Amazing! 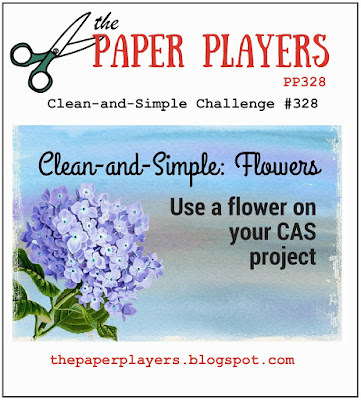 during the SAB promo going now thru March 31st, 2017.
this paper with a spritzer of ink and rubbing alcohol mix. You could color the images with the new water color pencils. 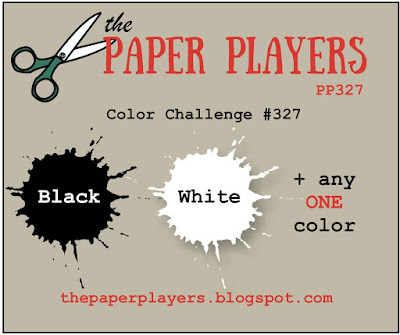 paper you can color for what you need. I rolled on Blushing Bride and then some Sweet Sugarplum. 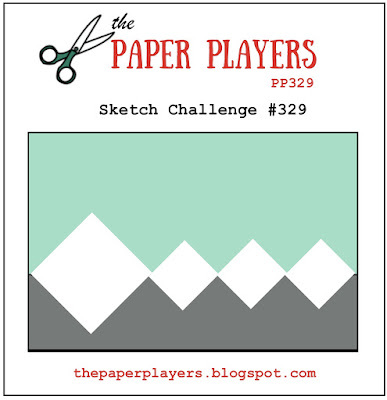 designer paper from the Serene Scenery DSP paper stack. 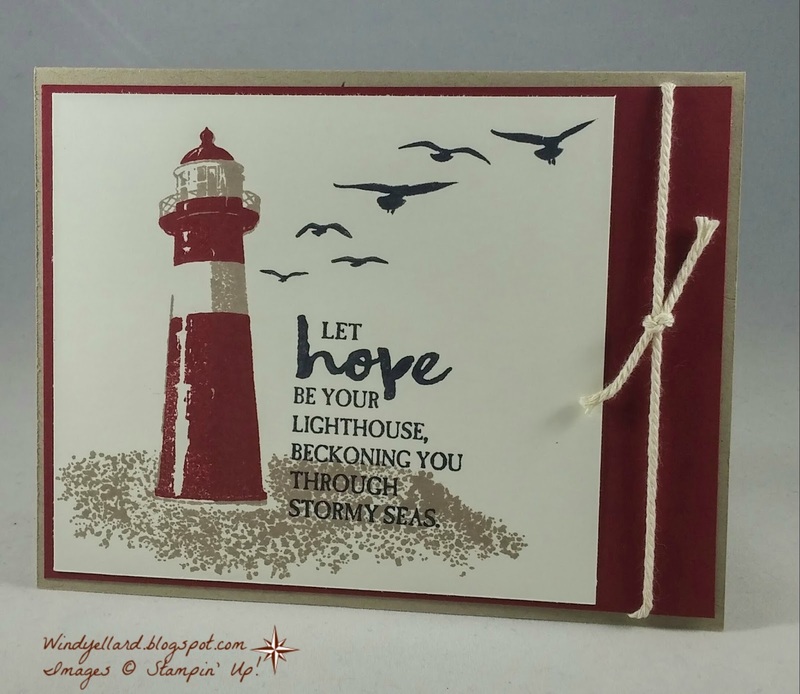 and sprinkled with copper emboss powder to heat emboss. I mounted it on a base of Old Olive. I decided I needed to play with this lovely SAB stamp set again! It is called Avant Garden and it is free with a $50 purchase. These flowers are meant to look watercolored. without reinking for a lighter color purple. The stems/leaves are in Old Olive. 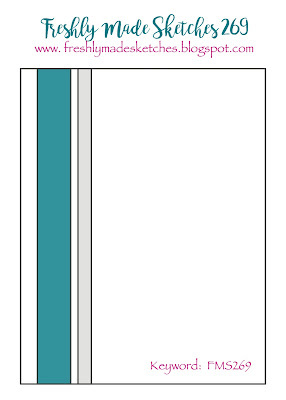 The base is a piece of Thick Whisper White card stock. and popped it p on my base. I like the softness all the white offers. I did a little casing from the Occasions catty page 14. 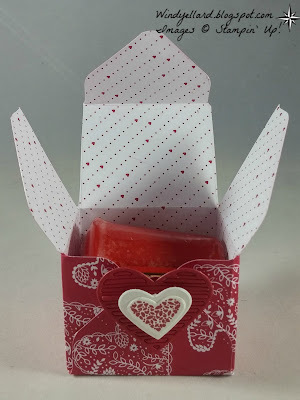 This is wonderful suite called Sealed With Love. with the Sending Love DSP. Cute Mini Envelopes!!! 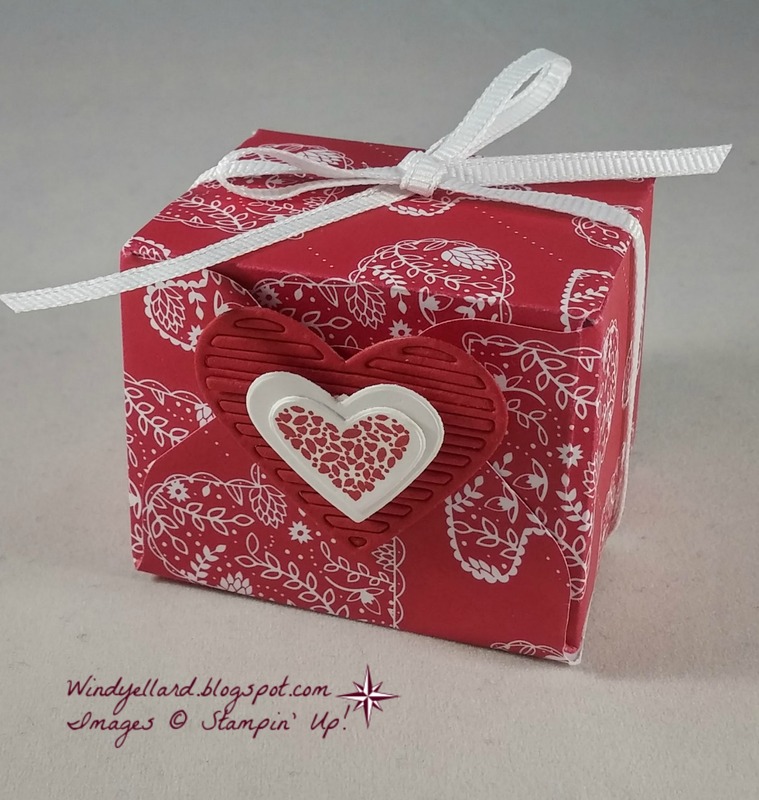 I also love the Sending Love wood embellishment hearts. a little splatter from Timeless Textures. The arrows also from the matching dies called Love Notes framelits dies. I love Real Red and Pool Party together. 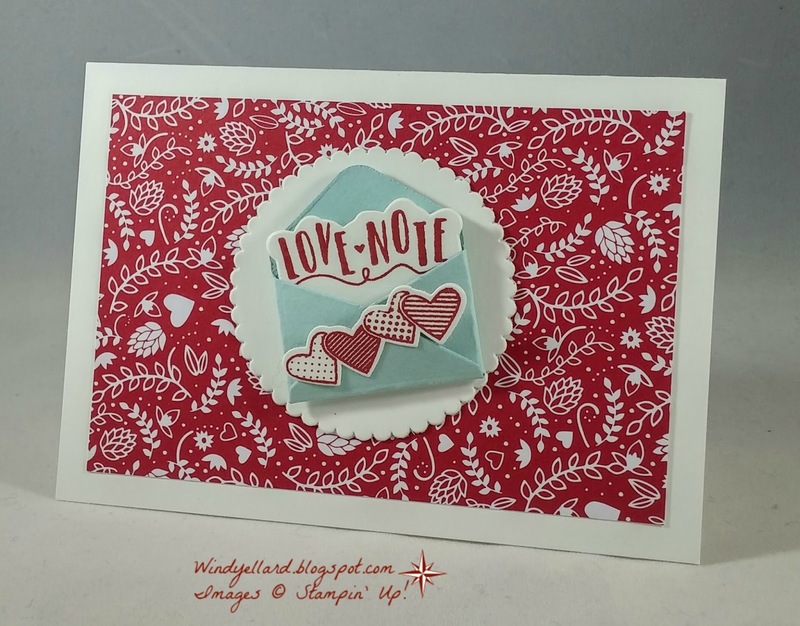 I also love how many cool dies comes with the Love Note framelits. I started with the Delicate Details from the Sale-a-bration (SAB) catty. 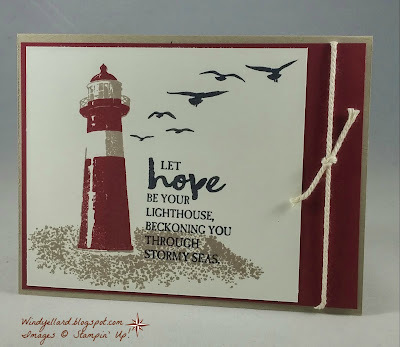 I stamped two different colors and two different borders. Night of Navy marker to ink up most of the image. I then used the matching thinlits for flowers. 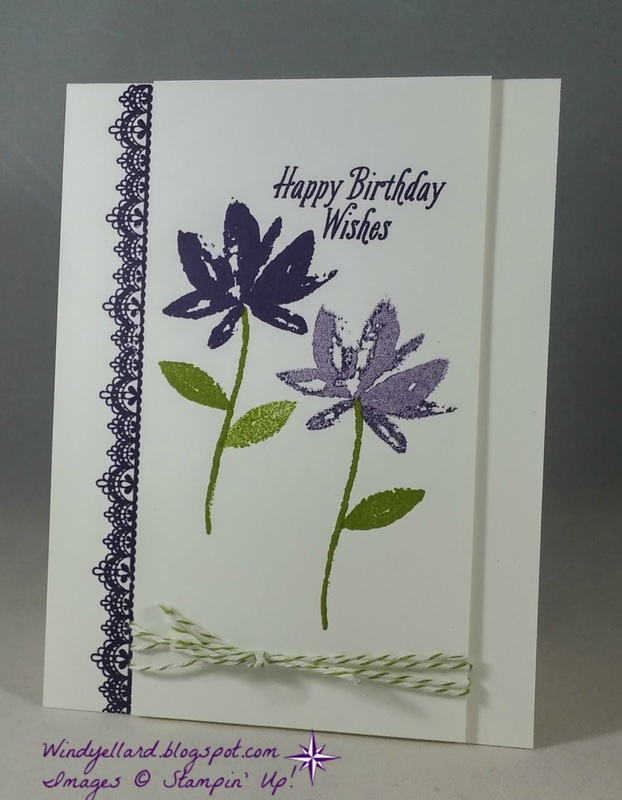 I added enamel shapes in dots for the centers of the flowers. My sentiment did not go on straight but I went with it! 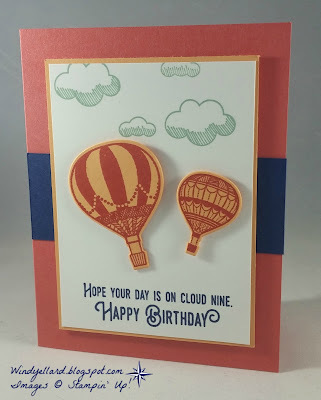 I decided to use the color combo, layout and the balloon theme. I used a piece of Kraft card stock for a base. I added Night of Navy and Watermelon Wonder card stock. 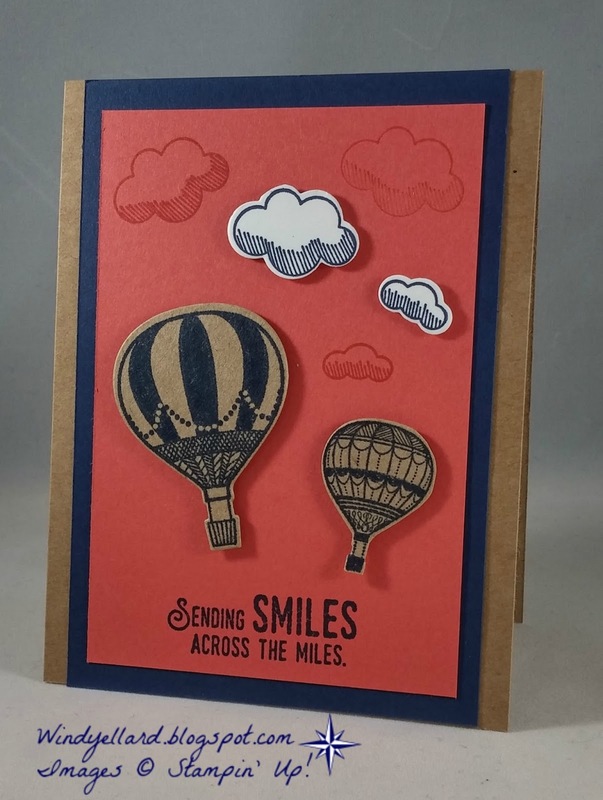 I stamped the sentiment in Navy and some clouds in Watermelon Wonder. 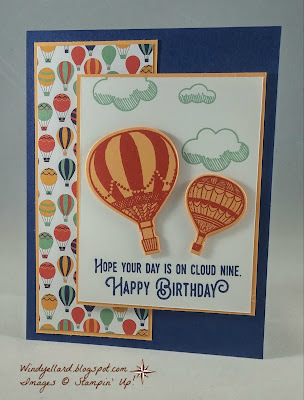 I stamped the balloons on Kraft in Night of Navy and cut them out, too. 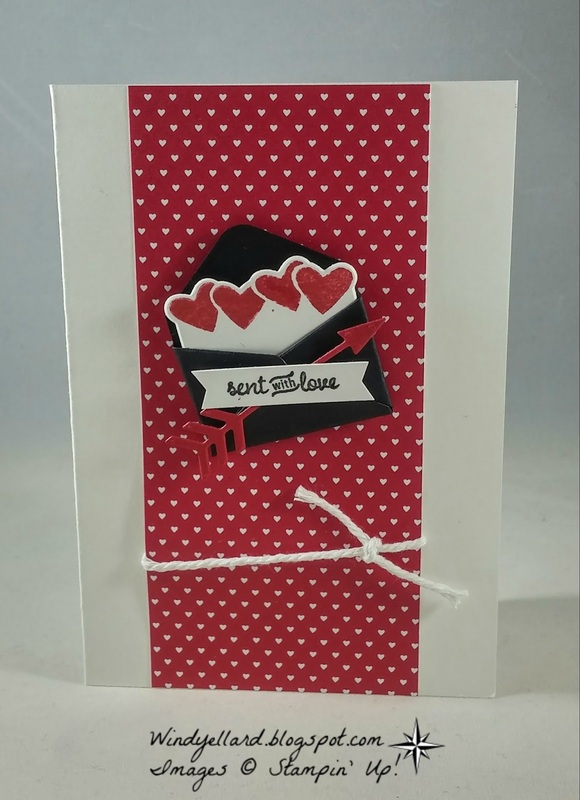 Nice card for male or female! with my Dragonfly Details thinlits dies. 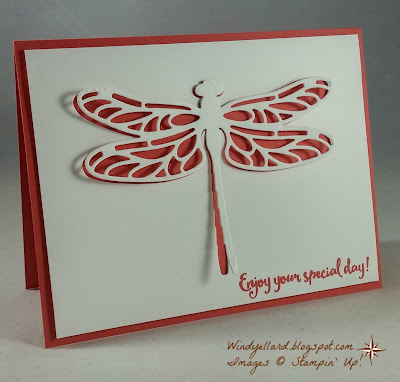 and then cut out a detailed dragonfly. and then used some dimensionals to pop up the cut out. Thanks for stopping by today and have a sweet Tuesday! This 4 1/4" sq. card is going out today to my dad for his birthday! for the background. 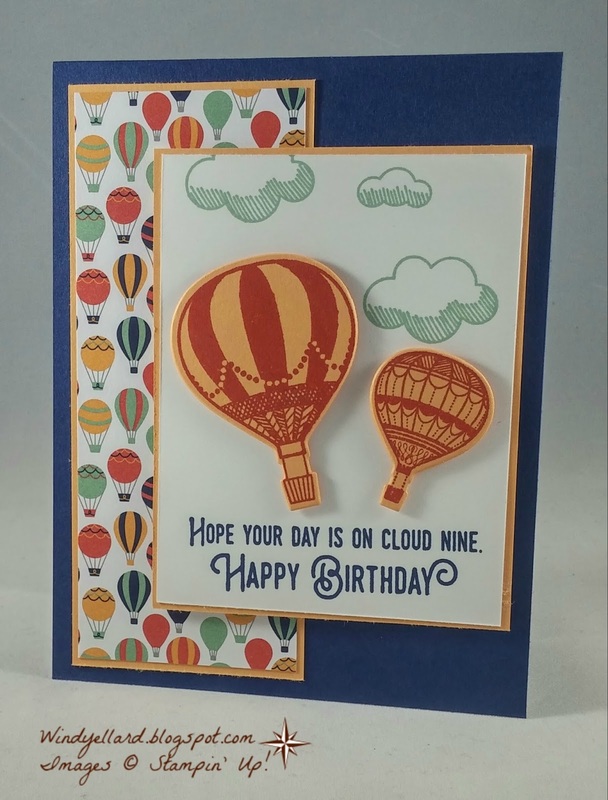 I used those colors to work the base and balloons. For the balloons, I stamped Bermuda Bay ink on Peekaboo Peach card stock. 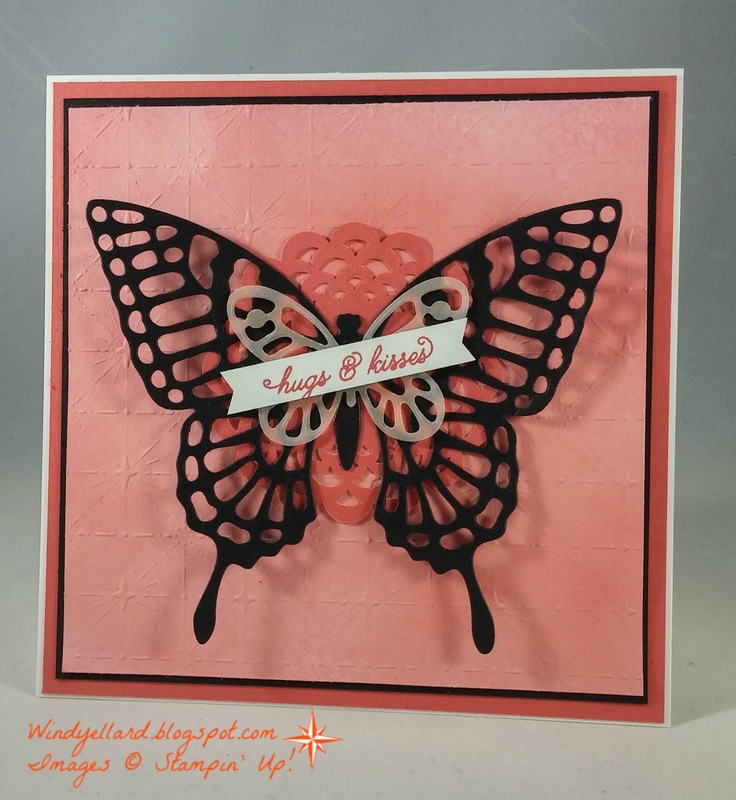 I cut them with the matching dies called Up & Away thinlits. I stamped off twice with the Bermuda Bay for the clouds. I made a quick but cool card! Happy New Year With Hugs & Kisses! I hope 2017 will bring many blessings! I designed a giant card...well a 5.5" squared one! from another project this week by spraying it on the DSP. and the large one was perfect for this size card. trying to decided what color to cut my butterfly. I found decided Black would give it a great impact. sponged Peekaboo Peach on the back side. I added a Watermelon Wonder doily behind. on Jan. 4th, 2017 for the sentiment banner. I hope you enjoy for first day of the new year!